Brian Boru is without doubt Ireland’s most well known medieval figure while a battle he fought in 1014, the Battle of Contarf, is Irelands most famous medieval conflict.This podcast tells the full story. In this show I look at the real story behind Brian and the Battle of Clontarf. How did he become high-king? Was he really the first man to unify Ireland? 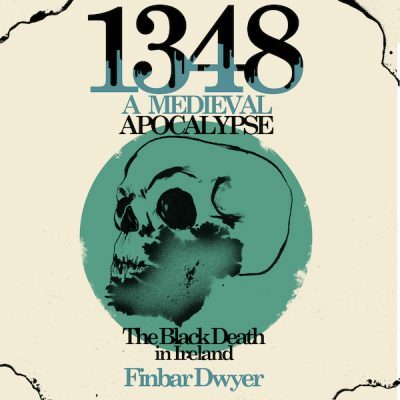 Why did Vikings from as far away as the Orkney Islands flock to Ireland and assemble on a field in Clontarf, North of Dublin to face down Brian Boru and his allies in 1014? What happened after Brian Boru died? 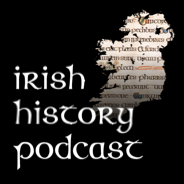 This podcast also tells the unknown but fascinating story of the wars he waged against the Northern kings between 1002-1011 in his conquest for power in a world of intrigue and betrayal…..
Brian Boru was born in 941 (although some claim sources 931) and became king of Munster in 978 two years after his brother, the former king, Mathgamáin was killed. He rose in power through the last decades of the 10th century. This culminated in a treaty he signed with the high – king Maelseachnaill in 997 which saw Brian’s authority recognised in the southern half of Ireland. Brian also features in the last episode. Aedh Ua Neill King of the Northern O Neill. He was killed in mysterious circumstances in 1004. Flaithbertach Ua Néill, was a grandson of Domnall Ua Neill the high king between 956?-80. When Aedh was mysteriously killed in 1004, Flaithbertach became king of the Cenel Eoghan and the wider Northern O Neill kingdom. Although far more successful than Aedh he never became high king being outshone initially by Brian Boru and subsequently Maelseachnaill. Arguably Flaithbertach’s revolt of 1012 is one of the key reasons why Brian’s power collapsed. Sitric Silkenbeard Norse king of Dublin, his father was Amlaib Curráin and his mother was Gormlaith. She was also married not only to Maelseachnaill but also Brian Boru. 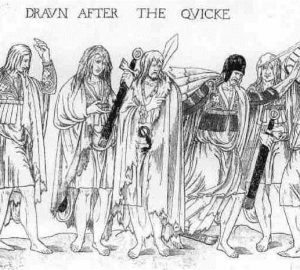 Sitric was one of the key organisers of the Leinster – Viking Alliance at Clontarf. It was he who sourced the Viking mercenaries form Orkney and the Isle of Man. Mac Samhrain, A (2005) Brian Bóruma, Armagh and High Kingship Seanchas Ardmhacha: Journal of the Armagh Diocesan Historical Society, Vol. 20, No.2 (2005), pp. 1-21.